A memorial service will be held on Monday, April 15, 2019 at 6:00 PM at the Taylor Funeral Home with Pastor Wes Sesler officiating. Visitation with the family will be held on Monday from 2:00 PM until the time of service. 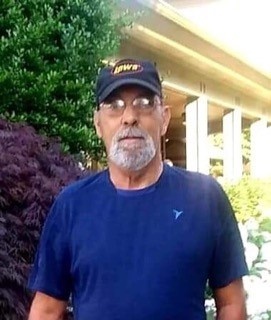 Mr. Elwyn Lynn Choate, age 65 of Dickson, TN died on April 11, 2019. For those desiring, memorials may be made to the American Cancer Society. Mr. Choate was born on December 20, 1953 in Davidson County, TN, a son of the late Walton Lee Choate and Annie Lee Guthrie Choate. He was a Veteran having served his Country in the U. S. Navy. On March 22, 1980 he joined in marriage with Scarlett Buchanan. Mr. Choate was retired from the Iron Workers Local 492 with over 30 years of experience in the industry. He enjoyed hunting, fishing and golf. In short, he was a hard-working man that loved his family, his Country, and spending time outdoors. In addition to his parents, he was preceded in death by his brother, Gary Choate; and a sister-in-law, Margaret Choate. Mr. Choate is survived by his wife of 39 years, Scarlett Buchanan Choate; his children, Terra Lynn Lopez (Alvaro) of Lawrenceburg, TN, Maranda Anne Green (Joe) of Slayden, TN, and Isaiah Lynn Choate of Dickson, TN; his siblings, Donnie Rex Choate (Judy), Roger O’Neil Choate, and Sheila Wood (Bill); grandchildren, Cooper Layton Green, Emma Lynn Choate, Isaiah Terrell Choate, Jacob Tyler Edmondson, Brandie Leigh Choate; great grandchildren, Adeline Choate, Bryson Choate, Remy Choate, and Damien Edmondson; 13 nieces and nephews and numerous great nieces and nephews.